There is a project--Mini MicroSD Reader for Android Smartphones & Tablets on Kickstarter. Copy introduce from Kickstarter. An external card reader that enables you to use MicroSD card on your Nexus/Android tablets and Android smartphones. Samsung Galaxy S2, S3, Note, Note 2; Class 1 support. Motorola RAZR M, RAZR HD, RAZR MAXX HD; Class 1 support. HTC One X+, Evo 4G LTE (Sprint), DROID DNA; Class 1 support. 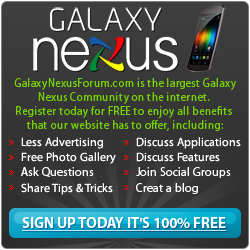 Samsung Galaxy Nexus, Google Nexus 7 & Nexus 10; Class 2 support. Nook Color, Kindle Fire; Class 3 support. Tablets using RockChip & AllWinner chips; Sonicview N710; Class 1 support. Class 1: it is supported by the phone/tablet out of box, no rooting or other privileged software needed. Class 2: supported using 3rd party software such Media Importer from Play Store, with some limitations; root device and install 3rd party software such as StickMount to remove such limitations. Class 3: a custom ROM such as CyanogenMod is needed. It should work with most other devices that support USB host or USB-OTG (On-The-Go) as long as the device maker doesn't intentionally disable such functionality. For the technically inclined, it has been tested and verified on all four major mobile SoCs(system-on-a-chip): Qualcomm Snapdragon, Samsung Exynos 3, 4 & 5, Nvidia Tegra 2 & 3, TI OMAP; as well as on RockChip and AllWinner chips. Is this not realese for S4 ? Says on the ordering page it is. Due to hardware and software limitations of many Android devices -- especially older ones, we can ONLY guarantee compatibility with the following tested and verified devices.Samsung: Galaxy S2, S3, S4, Note, Note 2, Note 3, Mega; Galaxy Express, Galaxy Tab 3 7/8/10.1, Galaxy Note 8.0. Win a Chance to Win 1 of 7 Google Nexus 7 Tablets!!!! New to Smartphones and need help! Mini USB to Mini USB?